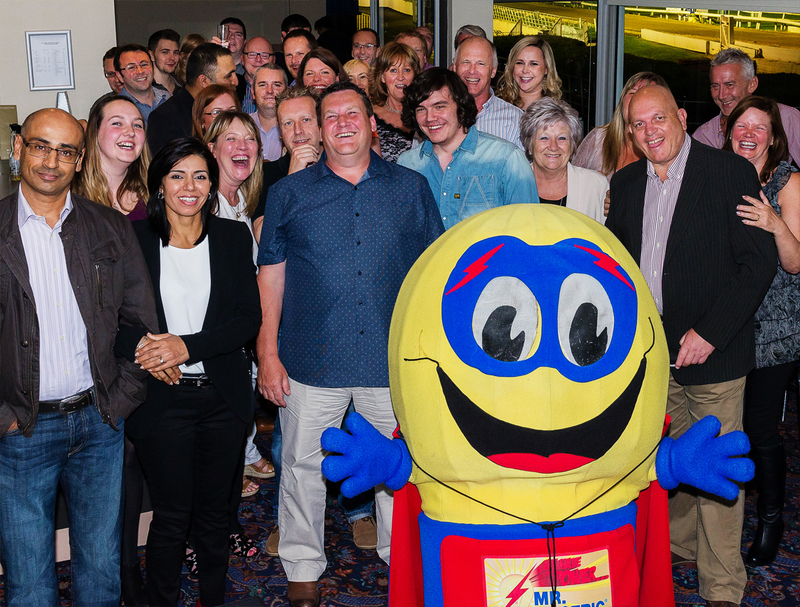 Mr. Electric Birmingham North owner Jeff Longley organised a fantastic fundraising night at Hall Green Greyhound Stadium on Friday the 30th of May. The night was lots of fun, with the basics of betting being learnt by nearly everyone in attendance. But the real reason for the night was to raise money for the Ronald McDonald House in Birmingham. The house is situated next to the Children’s Hospital and is one of the largest purpose built accommodation facilities. It provides accommodation for families while their children are being cared for at the hospital, offering them not just a place to sleep but also somewhere to share their experiences of the day and receive support. The house was opened in November 2009, however the fundraising continues to cover the ongoing costs of running the house. Mr. Electric has been committed to raising money for Ronald McDonald House Charities for many years and we can’t wait to go along on Wednesday with Mr Sparky to hand over the cheque. For more information about the Ronald McDonald House in Birmingham or to donate money please visit their website here.